"I make the difference between businesses that thrive and businesses that just survive." Bob McClain or WordsmithBob, has been in business in Minneapolis and St. Paul, Minnesota, since 2000, studying and perfecting his skills in website writing, Search Engine Optimization and Online Marketing campaigns. My tagline pretty much spells it out: We help you DOMINATE THE 'NET! Starting with a BA in Technical Communication and a minor in Creative Writing from Metropolitan State University in St. Paul, MN, McClain has worked diligently to end the use of "corp-speak" and "technospeak" online and the practice of creating "static" business websites. 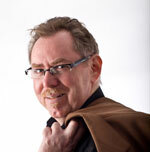 WordsmithBob is Vice President of TC Web Pros and a Premiere Vendor in the Minneapolis, MN Copy Writer Directory. He is also a restaurant reviewer for Twin Cities Dining Guide.com in Minneapolis, Minnesota, and a volunteer with The Rose Ensemble in Saint Paul, Minnesota. For a lot of free information on Small Business Marketing, please visit my WordsmithBob blog and my list of helpful articles on every aspect of Small Business Marketing. TRUST BUT VERIFY- How to Keep Your Search Engine Optimization Firm From Taking You to the Cleaners! SMALL BUSINESS MARKETING - How to Dominate Your Competition Both Online & Offline! WEBSITE PROMOTION - An Easy Step-By-Step Guide to Multiplying Targeted Traffic to Your Web Site! Or if you really want to get fancy, you can use my Contact Form!